Here it is! The end of the scary movie challenge. Final total was 113 films with 80 first time viewings. I’m pleased. More first timers this year than any previous year, and more recent titles too. Anyways, this means this blog will start posting once a week again, maybe less since I plan to catch up on special features from the piles of physical media I watched. Here’s the last few films. 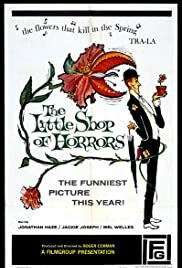 396 10/28 The Little Shop Of Horrors (1960) 3/5 Roger Corman’s 2 day wonder has tons of charm but I don’t love it as much as others. Still a fun little film and Jack Nicholson’s bit is worth hanging around for. 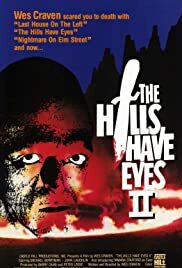 397 10/28 The Hills Have Eyes Part II (1984) 2/5 While I didn’t find it to be the worst film ever as some think it is, it’s far from good. Holding no comparison to the quality of the original, it’s a run of the mill “Teens stuck out in the middle of nowhere” type deal that has zero charm and just plods along. 398 10/28 A Nightmare on Elm Street (1984) 4.5/5 Wes Craven’s classic hold up just fine. I couldn’t tell you how many times I’ve seen it, it always delivers though and manages to be scary. 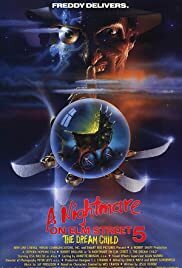 400 10/28 A Nightmare on Elm Street 3: Dream Warriors (1987) 4/5 It’s not as good as the first one, but it’s my favourite in the series. I love the idea of the kids banding together to fight back. It’s also great catching up with the characters from the first one. It’s as if part 2 never happened. 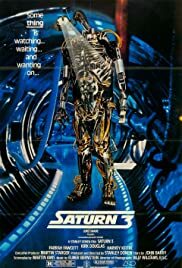 401 10/28 Saturn 3 (1980) 2.5/5 I haven’t seen this one since I was a little boy and watching it now as a big boy, it’s not good. A sci-fi film where you are lead to believe that Farrah Fawcett is in a consensual relationship with million year old Kirk Douglas, it also features the great Harvey Keitel sounding like you have never heard him before since they dubbed his voice. Directed by the great Stanley Donen – Singing in the Rain will always be one of my most favourite movies – and featuring a killer robot, it’s ridiculous how they get everything wrong. You know you’re in trouble when the opening shot references Star Wars and the music is like a Star Wars/2001 A Space odyssey blend. 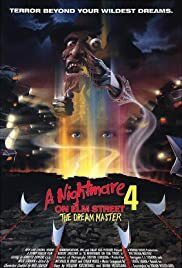 402 10/28 A Nightmare on Elm Street 4: The Dream Master (1988) 3/5 I actually enjoyed this one more than I remembered liking it. Continues on from the last one, Freddy has sadly turned into a pun-machine. That said, it’s fun if not a bit forgettable. 403 10/29 A Nightmare on Elm Street 5: The Dream Child (1989) 2/5 Everything I’m willing to give a pass to in the fourth one gets far too annoying in this. The child stuff is corny, none of the characters are likable and not even Freddy can bring the fun. 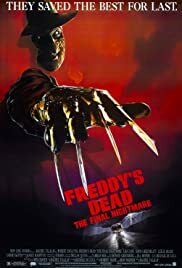 404 10/29 Freddy’s Dead: The Final Nightmare (1991) 2/5 You couldn’t ask for a worse ending, despite a good cast. It’s more goofy Freddy’s kid stuff and it’s simply a drag. 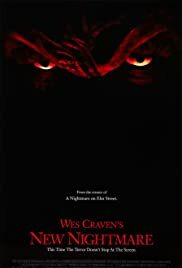 405 10/29 Wes Craven’s New Nightmare (1994) 4/5 The series goes meta with this one, finding the actors of the first film having to deal with Freddy in the real world. It works really well, but I find it runs a little long. That said, I’ll take this one over the last couple films any time. 406 10/29 Rabid (1977) 4/5 I really got a kick out of this one during this viewing. Cronenberg’s take on a zombie like plague has the body horror he’s known for and is admittedly a little corny in some of it’s stings. Not enough to annoy though, it’s always enjoyable. 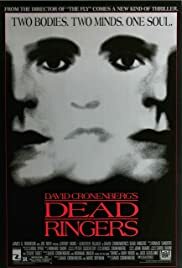 407 10/29 Dead Ringers (1988) 4/5 A story about identity between two identical twins that swap roles, it’s the kind of thing that most filmmakers would use as a surprise ending. Cronenberg starts the film with the “twist”, and then dwells on the ramifications for the rest. Lacking the graphic shocks of his earlier films, this one manages to be more disturbing. It might be Cronenberg’s best film, which is saying something considering how solid of a director he is. 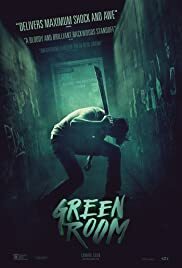 408 10/30 Green Room (2015) 2.5/5 A punk band take a gig at a nazi bar and witness a murder. I just never got into it despite a great cast and a film that does everything right for the most part. I’ll probably revisit it to give it a second chance since I feel like I’m missing something. 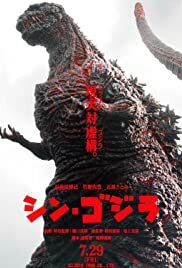 409 10/31 Shin Godzilla (2016) 3/5 If you ever wondered how the Japanese parliament would deal with a giant monster attack, this one is for you. The monster stuff is amazing! Using CGI to build the ultimate “rubber suit” style monster to wreak havoc, it’s a stroke of genius and some of the best giant monster stuff you’ll see. Sadly it’s bogged down in never ending political bureaucracy that is so detailed in its minutia it’s ridiculous. Why no one can make a dead solid Godzilla film in this day and age is beyond me. That said, it’s light years better than the 2014 American film.